The CM Storm Sirus is Cooler Master's first foray into the gaming audio market. And while the market is fairly crowded, offering many options for gamers, this headset seems to find its way with a specific gaming focus. As we found out in our video review above, this headset is definitely tuned to do well at games. From the audio, to the design of the headset, I definitely felt like I was in command when wearing this attractive looking head gear. But along the way, we found out a few more things about them. Can We Get Lighter Weight for Better User Comfort? The CM Storm Sirus is almost too well built. In fact, we found that the more we used them, the more thick our necks became. Cooler Master should look at lighter weight methods for construction such as the use of a wire frame for the head band. Many great headphones and headsets utilize a wire frame construction just for this purpose and because they are also fairly wide, they are very comfortable for long term use. The black "CM Storm Sirus" piece started to separate from the rest of the head band. This may have been due to our in the field testing at a real LAN party. Granted, our test unit was a pre-retail sample, but this is something one should be aware of if you plan on travelling with them. Something that a wireframe design would actually eliminate. Not everyone yells or has to deal with heavy background noise like they would at a LAN event. That's why we said it was both a pro and a con in our video segment. If you play at home and are the quiet type, you may find that no amount of tweaking made the mic sensitive enough for whisper mode operations. It wasn't even sensitive enough to make it through even Microsoft's own built in speech recognition setup utility. We tried it with both our sound card audio and the USB audio and results were the same. We also found a quirk. When you want to activate the mic, you bring it from the up position, to the position of your mouth. That's logical right? Well, on our unit, we had to move the unit from full up, to full down, before we could adjust the mic. Even though the red mic-on indicator was lit, the mic did not turn on when positioned in this way. For some reason, it wasn't always consistent. So if you are having a non-working mic, we recommend you bring it from the full upright, to the fully deployed position before positioning to your mouth. Hopefully this is something Cooler Master is already addressing. Headset and headphones are very personal items. They have to fit you right and they have to provide you with an audio quality that you love. If you're commanding a team of commandos on the virtual battlefield, they should also look great. Cooler Master has definitely gotten the looks down for the CM Storm Sirus. However, I found that the audio equation was only addressed 3/4s of the way for me. 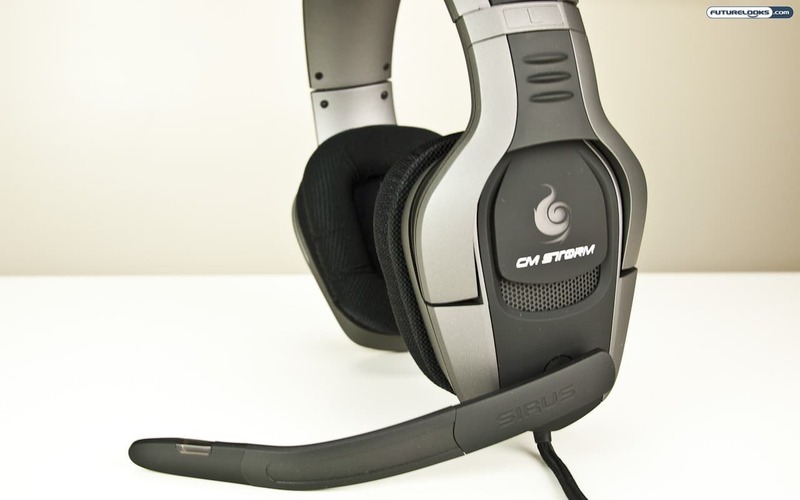 The headset's 5.1 sound signature was well tuned to games, specifically FPS shooters thanks to the great positional audio, and the command dial that allowed specific adjustments of each audio channel (Front, Rear, Center, Subwoofer). The dial was also quite heavy, not cheap and plasticky. This made it difficult to just fling it off the table which means someone thought about that in the design phase. The mic sensitivity only addressed the needs of the vocal squad leader on the other side of the LAN party. At home, you dont' need to yell and I found the mic sensitivity to be quite inadequate in this environment. Even after jacking up the gain to +30 dB, I just wasn't happy with the sensitivity. I did appreciate though that all major functionality was not lost when not using the CM Storm utility, which I feel still needs a bit of work. There was too much right clicking to get to the needed options. At a starting price of $129 US or less, they are priced well for what you get. 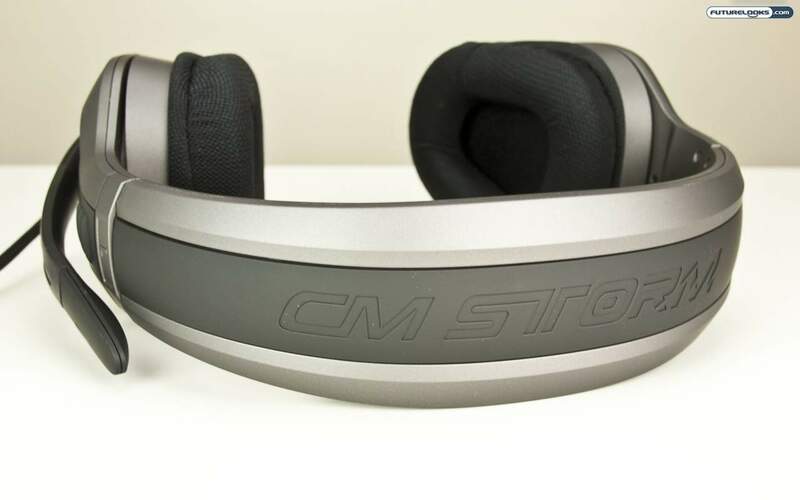 It isn't the lightest weight headset with 5.1 audio, nor does it have the most sensitive mic, but it is a statement that CM Storm is serious about getting into the gaming headset fight. If you're compatible with the mic quirks and have a strong neck, there's no reason why these shouldn't serve you well.